The Evoke Urban S is the latest bike to join the electric market in the UK, and will be available next year. The bike produces a claimed 25bhp via the 19kW hub motor and has a claimed speed of 81mph - perfect for bragging rights among your mates. The Urban S has a claimed range of 124 miles in the city, or 75 miles at 60mph. When you've sucked all the life out of it, can recharge 80% of the battery in three hours. Keeping up-to-date with the latest bike tech, the Evoke features a 5 inch colour display. Is the new Z900RS the retro we've been waiting for? The bike that eventually goes on sale in the UK could look slightly different to the model pictured here, instead featuring a more stylish headlight and small dash surround. 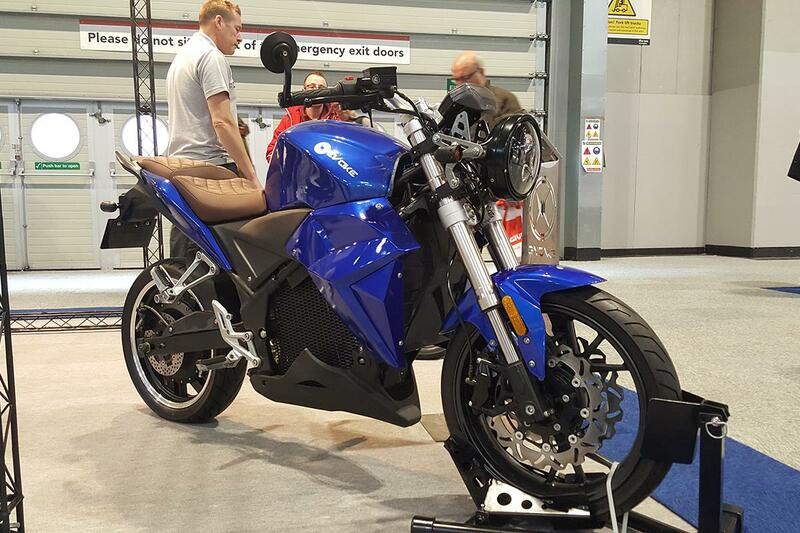 Richard Jordan, of Evoke and Super Soco said at Motorcycle Live, where the bike was unveiled: "We expect the bike to go on sale for £6000 to £7000. There may be a few changes made to the bike before it goes on sale in April 2018, ready for the new riding season. It does qualify for the full £1500 Government grant on electric vehicles." The Government grant means electric vehicles which mean certain criteria qualify for a £1500 or 30% subsidy, whichever is smaller. The first subsidised electric-bike, a Zero FXS, took to the UK's roads in March this year. As governments across the globe try to cut down on emissions and manufacturers look to the future, electric bikes are becoming more and more common. Energica are one of the big players in the electric bike market, and this year they won the very first MCN Electric Bike of the Year award for the Ego sportsbike. MCN Senior Road Tester Adam Child also raced one during the TT Zero race this year. Energica are expanding their range in 2018, with the retro-inspired EsseEsse9, and earlier this year they announced a price cut of £1500 across their two model range. Evoke did claim the 24bhp Urban S would be the most powerful bike available to 17-year-olds on an A1 licence, but that honour goes to the Zero S, which makes 30.6bhp. In 2016, I spent a week living with the BMW C Evolution electric scooter, and came away feeling incredibly optimistic for the future of two wheels. Electric bikes: Watt's the hold up?